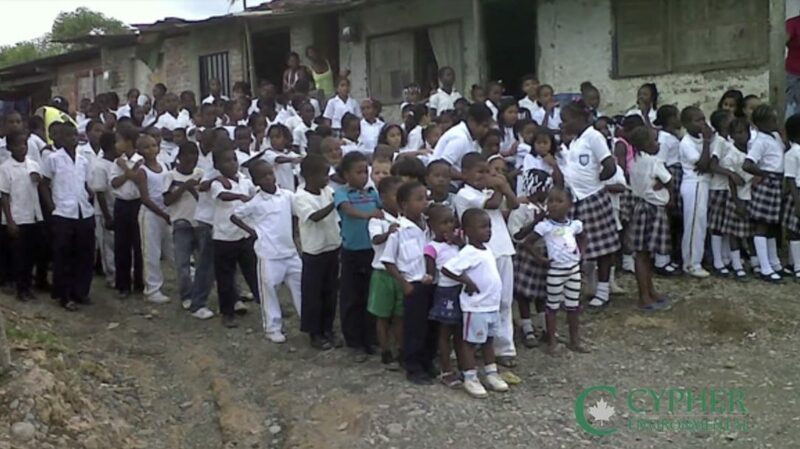 In the summer of 2011, Aliados Ambientales SAS and Cypher Environmental participated in rebuilding a local community school in Columbia. The project was initiated to bring radical change in the poor communities of the city and to improve living conditions. The building was located in one of the most dangerous neighbourhoods in the city. There was an immediate need to bring about change in the area to help children break the cycle of violence and conflict. One of the key requirements of the project was to create a school that was environmentally friendly and sustainable. It also required a supply of clean water and onsite wastewater treatment. Cypher’s EarthZyme® and UltraZyme® products were donated graciously by Aliados Ambientales and played a key role in the project’s success.